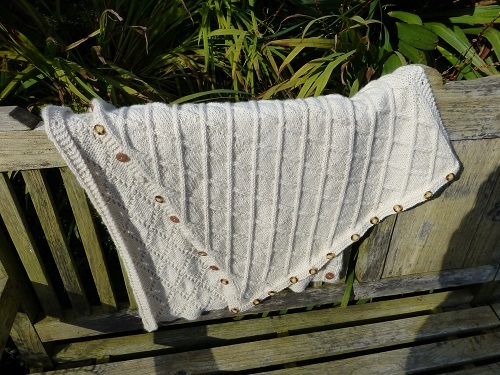 This Oxford Shrug knitting pattern has been featured in The Knitter, and uses 5 skeins of our very special Purely Gorgeous Aran yarn. 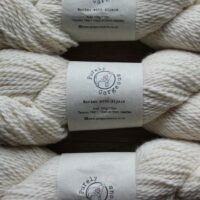 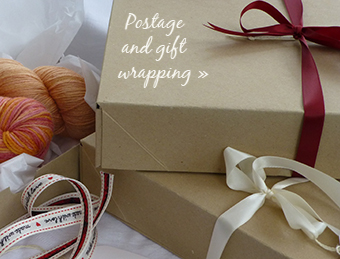 This yarn is 1005 Organic merino and suits the pattern perfectly for drape and warmth whilst being light and cosy. 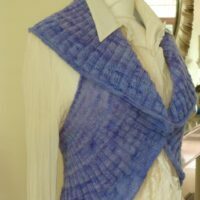 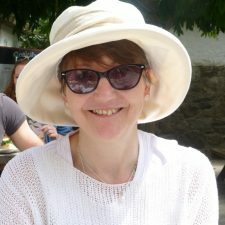 The pattern is knitted as an oblong, with buttonholes on the edges so it can be buttoned up in a variety of ways to make it versatile and easy to wear, as a shrug, cape, poncho or wrap It has a lattice of cables, inspired by a topiary hedge on a wall at Waddesdon manor in Oxfordshire and this adds interest and texture. 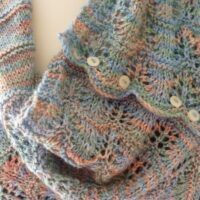 The cables all go one way so the pattern is a great start for any confident knitter who hasn’t tried cables before.